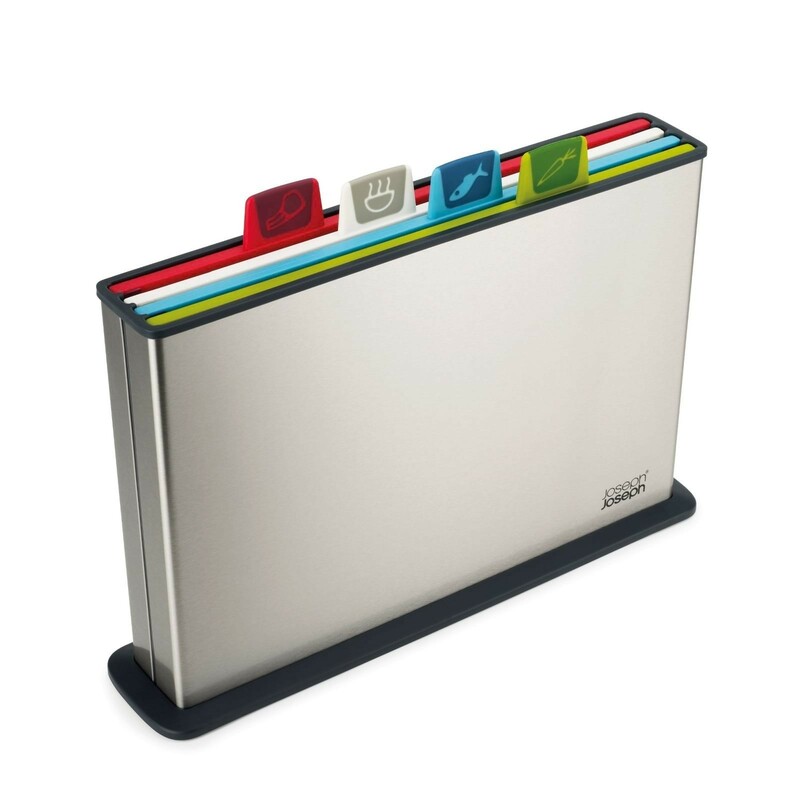 Index™ Steel is a version of the now iconic Joseph Joseph color-coded chopping board set which boasts all the same useful features but comes with a fingerprint-proof stainless-steel case. Designed By: Damian Evans. 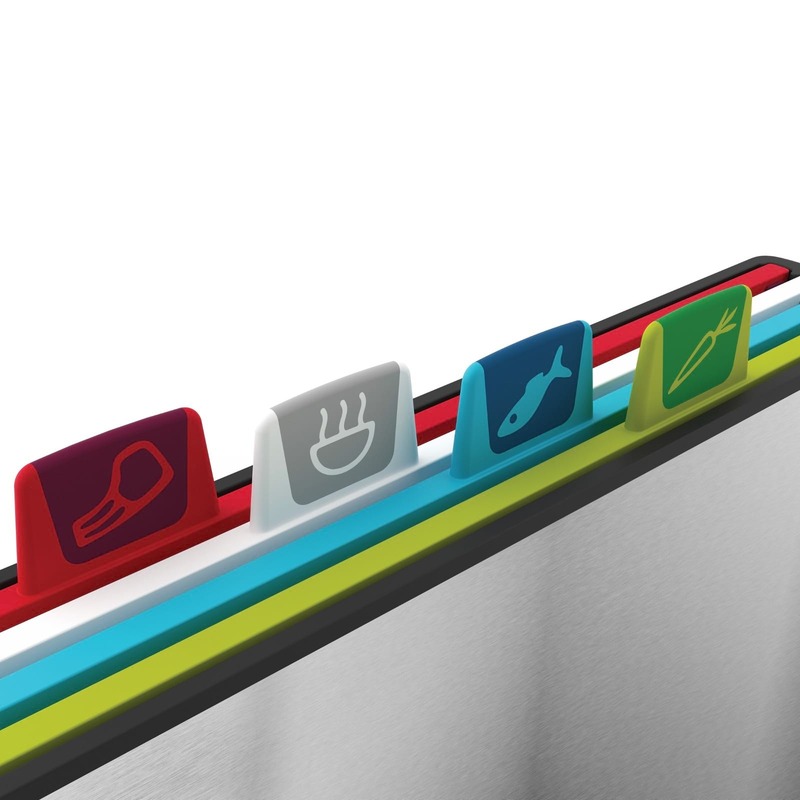 Each chopping board has a different color and an illustrated register sign that informs the user which board is made for each type of food (vegetables, fish, meat or cooked food). 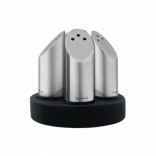 Using different chopping boards for individual ingredients improves the hygiene in the kitchen and prevents cross-contamination. In addition, by deploying the number of cuttings boards you require you have a flexible expanding working space always available. 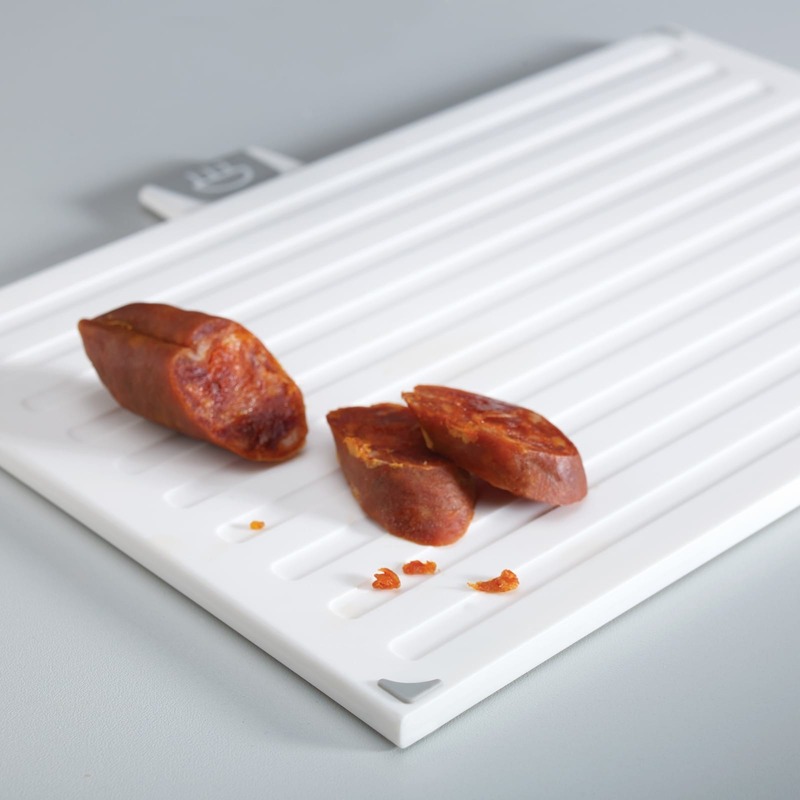 All boards are made of durable polypropylene and are dishwasher-safe. The plastic they are made from is have knife-friendly, it protects knives when cutting and prevents unnecessary blunting of the cooking utensils. 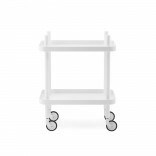 All boards have a non-slip base for safe cutting, especially on smooth surfaces. 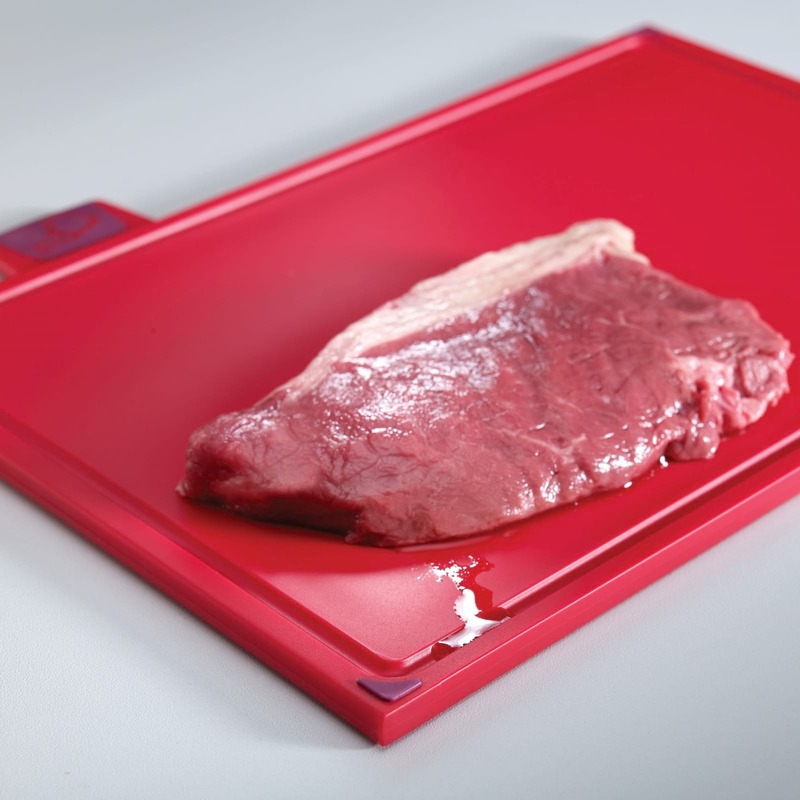 The non-slip base is thick and will now allow the cutting board to touch your countertop, as an extra hygienic friendly feature. However not all 4 boards are identical, each board has its own unique practical design detail. The red board meant for meat has a perimetrical grooves to catch blood and liquids. 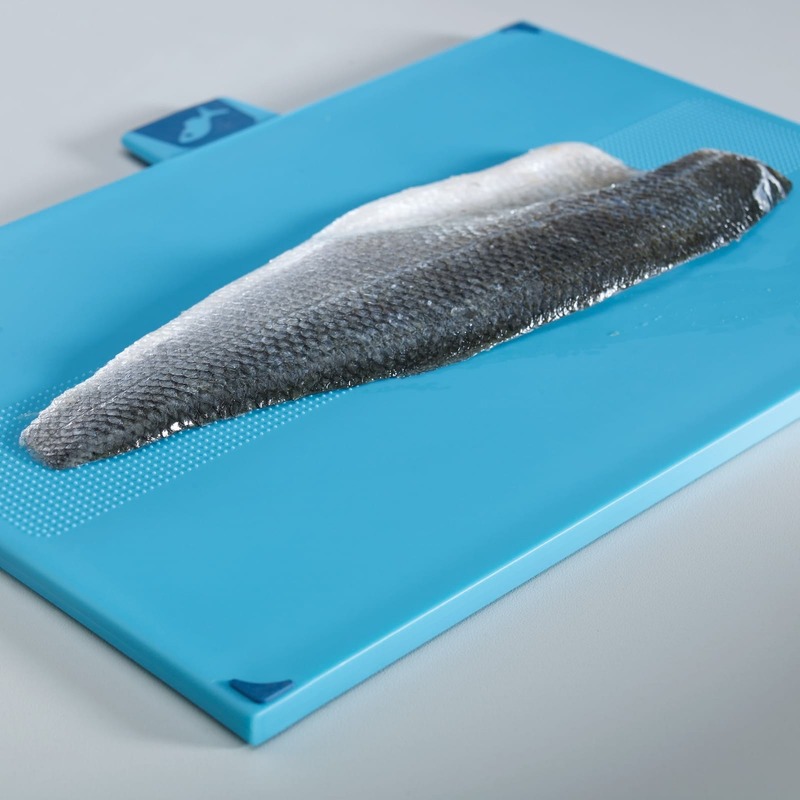 The blue board meant for seafood has a perforated surface that prevents fish from slipping. 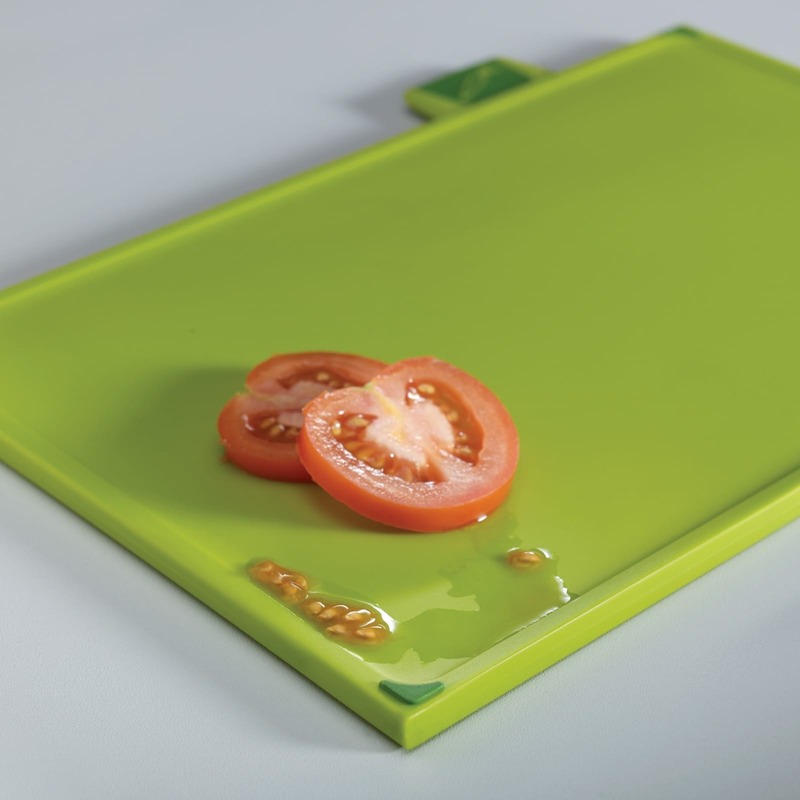 The green board meant for vegetables has a sloped edge to catch any stray food and juices. Finally, the white board meant for cooked food has grooves that grooves that catch scraps and help as guiderails when you need to cut something straight or in equal portions. 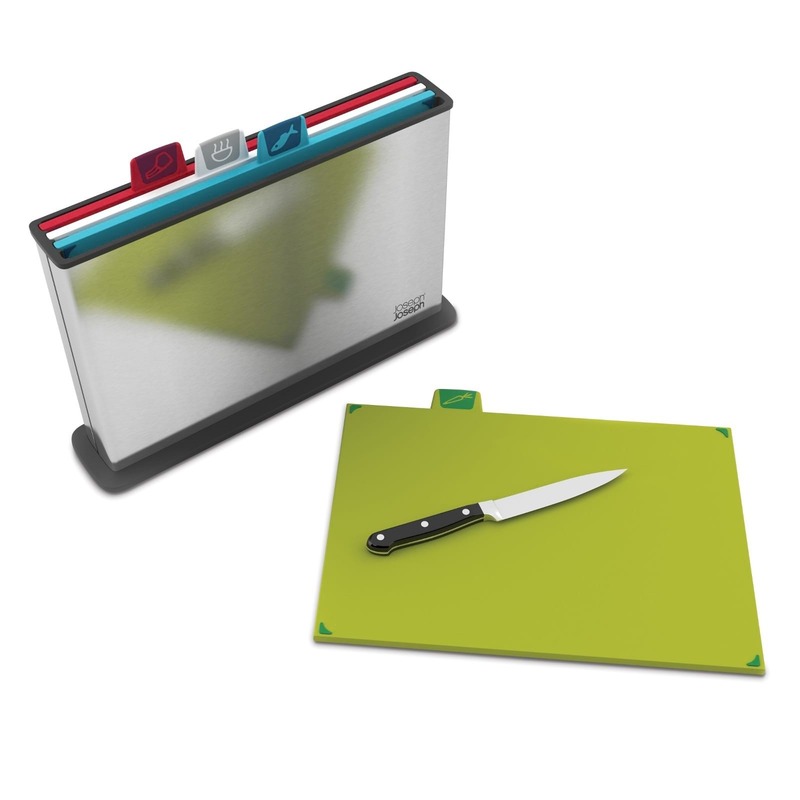 When the cuttings boards are not in use you can store them in the minimalist and deluxe stainless-steel case. The case is even fingerprint-proof in order to look shiny and stylish with minimal care! 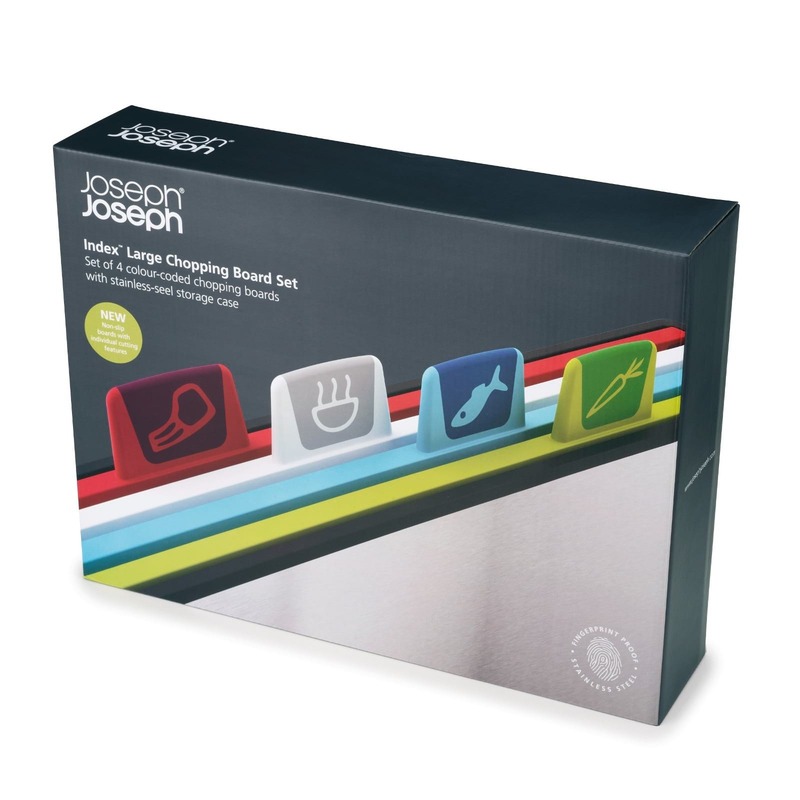 Set Includes: One base and four cuttings boards. Dimensions Case: 38 × 25 × 8.5 cm (15 × 10 × 3½ inches). Dimensions Boards: 34 × 24 cm (13½ x 9½ inches).